If you would like to purchase a book then just contact Sue. 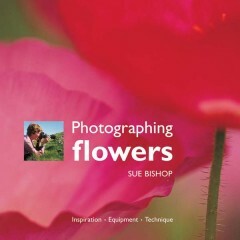 Sue is the author of three books on floral and landscape photography. She provides insight into perfecting your photographic techniques. The price of these books is £16.95, but signed copies are available direct from Sue for £15 plus £3.50 p&p. 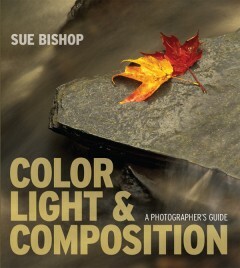 Illustrated with beautiful, inspirational photographs of landscapes and flowers, this book gives both technical and creative advice on understanding and making the most of colour, light and composition in your photography. Packed with vibrant, evocative floral images and sound, practical advice, Digital Flower Photography will inspire you to explore the world of flower photography in new and exciting ways. 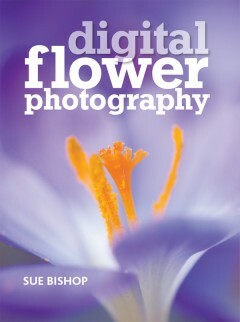 In this sumptuous book, Sue Bishop shares her techniques for producing stunning flower photographs and encourages the reader to develop their artistic eye in order to do the same. Photographing Flowers covers both the practical skills and the aesthetic considerations required to capture the essence of flowers. 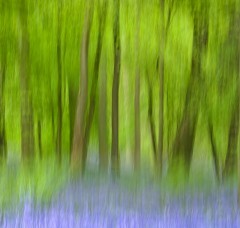 Sue Bishop’s photographs are available as Giclee prints, hand-printed on fine art watercolour paper. Photographs are printed a little smaller than the paper so that there is a white border around the image. The prints are signed in pencil on the paper border. Please contact Sue for prices. Many other photographs are available in addition to those on the website if there is a particular flower or colour that you are looking for.